This rounds out my meatless Monday meal. You may have seen yesterday's post on a unique sandwich, Layered Mushroom, Marscarpone and Polenta Bake (Polenta Concia)! The "sandwich" paired perfect with this sweet (Mascarpone Cheese) and Earthy flavors of roasted peppers, all made fresh tasting with the addition of some fresh cut thyme leaves. I showed off a bit for the photos with some fresh made Italian spiced croutons, but that's optional. 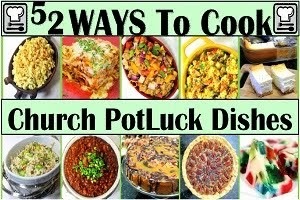 PLUS, this is one of those crock pot meals, easy and time convenient, just set, forget and serve when you want! There are potatoes in the mix. I have found that you will get better texture if you set your slow cooker on HIGH and limit this to a 4 hour cook. Longer and slower makes mushy potatoes. 4 hours in the pot and you have fully cooked yet with a bite potatoes with texture. OK, first up set your slow cooker on HIGH, add the chicken stock. Fire Roast your peppers. If this is your first time fire roasting peppers, do a quick google search. They are easy, basically stab with a fork and over a stove top burner flame (or under the broiler in an electric oven) heat until; the peppers blister black. Seal in a paper bag until cooled (about 20 minutes), the blackened skin will peal off easily. But again, take a look at a video if you have questions. While the peppers are cooling, add the butter to a large saute pan and melt over medium high heat until just before the butter starts to smoke. Add the sliced onions and saute for about 5 minutes, until they soften and start to lighten in color. While the onions are cooking, slice the potato and add the slices to the slow cooker. Season with the Thyme leaves, salt and pepper. Close up the lid for 4 hours. After 4 hours, taste and add additional salt and pepper if needed. Add the Mascarpone cheese and stir until melted and combined. I LOVE Polenta. Sort of corn bread, but instead of the bread texture, it comes out sweet, creamy and closer to a pudding with hints of bread. By itself, it is similar to grits. That is very little taste, but is wonderful to flavor. This particular dish is a perfect example. After the polenta is made in a skillet (that bread pudding consistency), the polenta is then baked to add a crunchy top texture. Then comes the flavors, grilled onions, pine nuts, mushrooms and a cheesy Mascarpone sauce. All made pretty by layering like a sandwich and extra fresh Thyme added for a garnish. This would be a Primo Course on an Italian table. Soups, Salads, Pasta, Rice, Risotto and as here, polenta are the usual suspects for the course following the Antipasto and before the Meat (Secondo) and vegetables (Contorni) course. OK, start with the cooked polenta while it is still soft and somewhat pour-able. Move this to a jellyroll pan and flatten to about 1/4 to 1/2 inch deep. Now allow it to set (about an hour and a half at least). Cut the polenta into squares (or use cookie cutters for any appropriate design for any holiday). Place the squares under a broiler for 5 minutes, until they just begin to toast, flip them over and repeat for only 3 minutes. Keep an eye on them, they go from toasted to burnt pretty quick. While the polenta is baking, start the toppings and sauce. in a large saute pan, over medium high heat, melt the butter until just before it starts to brown. Add the onions and saute until soft and just starting to turn color. Add the garlic and saute for a minute more. Add the mushrooms, thyme and pine nuts and continue to saute for 2 minutes. Meanwhile, in a seperate small saute pan, over medium low heat, warm the milk to just at simmer stage. Add the Mascarpone cheese and whisk until combined. Continue to whisk until the sauce begins to thicken, about 5 minutes. Add the nutmeg and whisk until mixed and remove from heat. OK, now just layer and serve... A polenta square on the bottom, @a TBS of mushroom/onions in the middle, a TBS of Cheese sauce, another square of polenta, another TBS of Mushroom/onions and topped with more cheese, garnished with some more fresh thyme leaves. I served this as part of my meatless Monday, along with a wonderful crock pot easy Pepper Soup (come back tomorrow for that post). These are simply FANTASTIC, so much flavors in the simple polenta, and they look spectacular in their rustic charm! 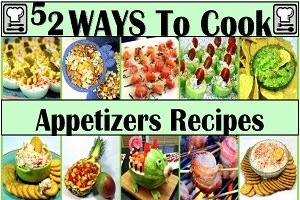 So, I am pleased to list this as one of my Growing list of "52 Appetizers Recipes"!!! From Dips and Salsas to everyone's favorite, Deviled Eggs; Appetizers will set the mood for something special. And make enough different ones and you have a Tapas Meal! Bitter nasty cold, what could be better? SUPER BOWL SUNDAY SUNDAY SUNDAY!!! A wise man once said that after the age of 18 or so the world's best pizza is from the greasy spoon pizzeria that you went to growing up. Everything, no matter how artisanal is measured by those sweet memories of youth. For me, that;s really not true, I have grown to love and appreciate a different style of pizza from my youth. But I can say that there is nothing like this warm comfort food that I have known for years. 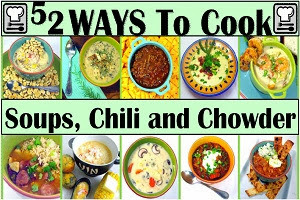 Any and all chili's are measured and found wanting by this recipe... At least to me. Brown hamburger and onion. Add remainder of ingredients and simmer. I use a crock pot for 3-4 hours. ** If it is too thick, I add Chicken Stock, if it is too soupy, I add tomato paste. Yes, it has beans and i know that real Chili freaks go crazy when they see beans in chili. Live with it. And yes, ground meat instead of steak cubes (same Chili freaks want steak cubes). Live with that too. 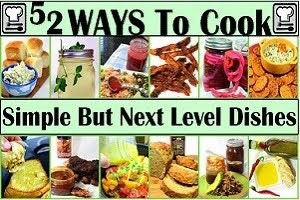 So, I am pleased to list this as one of my Growing list of "52 Ways to Cook SLOW COOKER-CROCK POT Easy Recipes"!!! From meat dishes (Like an AMAZING Root Beer Pulled Pork that will feed a small army), to kitchen staples (FREE Gallon of Chicken Stock anyone?) to a slew of Soup and Stew recipes, these are the dishes that will change the way you cook. Start in the morning, set and forget and dinner is on the table... Easy Peasy indeed!!! At last, the end has come... It's time for the Dolce... The Italian dessert. If you have been following along for the last few days, you know that I am posting recipes from a classic Italian 5 course dinner party I hosted. 5 Courses, 7 separate dishes served in the Italian style. Meaning relaxed. So recapping, I have already covered the Antipasto course (2 "party" Trays (Cured meats and Cheeses) and a plate of Bruschetta) ...Italian antipasto - Antipasto all'italiana. Then yesterday I posted the first of two Primo courses (the first course, appetizer, starter course), a wonderfully unique Fennel and Blood Orange Salad. All of that was especially easy as there was no cooking involved, The Antipasto was set up before the guests arrived. The salad was simply brought out of the marinade and put into a serving platter to pass. I did start to cook a bit when I made pasta, cooked it, made a sauce and mixed the pasta in the sauce (not as hard or time consuming as it sounds, as it took less than 10 minutes to make the Pepper Pasta With Brown Butter Sage Sauce! Remember, Mise en Place and prep work is your friend as you want everything to run like clock work. 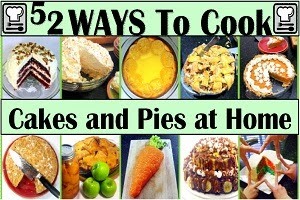 I planned to make 2 different Contorni (Side dishes or the vegetable course). Once again, as with the Primo (pasta and salad course) I chose the dishes for a variety of reasons, but center stage was the ease of cooking. I had made a , Potatoes in a Pouch (Patate al forno in un sacchetto). This simple potato dish has several advantages for a party platter. First, they are very tasty. Simply baked in a pouch with sage and olive oil. The extra kick is the raw bacon that cooks and seeps bacon fat into the potatoes as they cook. But the big advantage is that they are another no mess no fuss dish. All you have to do is open the foil, pour them in a serving platter and enjoy. The second Contorni side was a beautiful colorful Swiss Chard with Tomatoes , Pine Nuts and Olives (Bietole con Pomodori, Pinoli e Olive)! It does sound like a lot, and it was. but again, proper planning got everything organized, dishes served timely with a gap of only about 10 minutes between courses. And finally, the Secondo or Meat course of Roast Pork in Milk (Arista in Latte)! A wonderfully fork tender pork loin served up with a mustard gravy. I have to be honest, by the time dessert course rolled around, I was thrilled. All of my work was done. Food had been cooked, served and enjoyed. Also, all the thought processes of getting the timing right had worked flawlessly. I had made this cake the day before, and I felt my work was finished. Whew, great feeling. BTW, not that you ever need a reason to have a dinner party, this one had a reason, my good buddy, fellow geek - Shawn (Superman, geek movies, model collector (you remember those horror movie models back in the 60's... this guy still has his, Oh and he is also my minister, after spending decades as a Federal Prosecutor for the US Department of Justice, a few years ago he retired and went back to school. At an age when many folks were slowing down, Shawn decided what he wanted to be when he grew up was an Episcopal minister.. Interesting guy). Anyway, this was a celebration of the 31st anniversary of his 29th birthday (do the math... he is 60). This was his birthday cake (complete with vintage Superman cake decorations. OK, let's talk cake... This was a very interesting cake. Very little flour, very little sugar but plenty of eggs. It cooked up very light. In fact, not only was I tired, but there were more than one slight moan as I announced dessert. We had all had about 2 and a half hours of non stop food. And good food at that. We were full. But we put on our big boy stretch pants and dug in, planning to eat only a couple forks worth just to be polite. When all was finished, only 1 of the 8 had not licked their plate clean. We were all pleasantly surprised at how light and easy this cake was to eat on top of a heavy meal. In other words... perfect for the night. Sift the flour into the bowl and gently fold into the egg mix. Do not over mix, but incorporate as best you can with minimal beating. Bake until a knife can be inserted and comes out clean, about 40 minutes. Cool in the pan for 5 minutes, then turn the cake out on a wire rack and let cool completely (at least 2 hours). Serve chilled and PARTY LIKE YOU ARE 29 AGAIN! In a medium sauce pan, bring the milk and lemon zest to a slow simmer, stir constantly but DO NOT LET THIS BOIL. In a separate bowl, whisk the egg yolks and egg togetehr, add the sugar and vanilla and whisk some more, add the flour and whisk for 1 more minute. Temper the raw eggs by adding 1/4 cup of the HOT milk to the eggs mixture, whisking CONSTANTLY until incorporated. If you do not whisk, the eggs will curdle (bad). Transfer the thick pastry cream (now a pudding consistency) to a bowl and cover directly with plastic wrap. put the wrap directly on the cream to prevent a skin forming. Chill in the refrigerator for 6 hours or more. 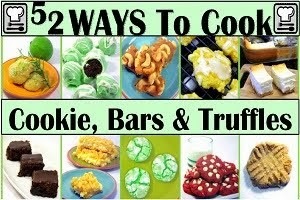 And use for a dozen purposes (like CAKE "frosting") and ENJOY! Light and airy, lemony, creamy delicious. As a dessert for a dinner party, it was everything I was after. Not filling, light enough to enjoy after a big meal, tasty enough that everyone wanted to eat even after a meal of this size. One bite and they sucked it in and forks were flying. The sign of a wonderful dessert! 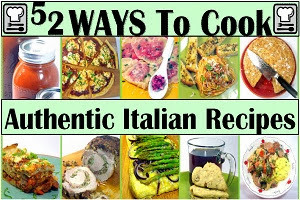 And of course, I am pleased to list this as one of my Growing list of "52 Authentic Italian Recipes"!!! OK, we are getting down to the star of an American table, the main course (the meat course, called the Secondo at an Italian dinner). Most folks have heard that meat is considered a luxury item and served sparingly in most of the world. Think about sausages... Meat with fillings. If you have been reading along over the last few days, following a large platter of Antipasto meats and cheeses, a Tomato Bruschetta, a Pasta and a Salad served as the Primo, A potato dish and a cooked Swiss Chard salad dish served as Contorno (side dishes, vegetable dishes). By the time the platter of meat was served, it was not the star of the show... Simply a balanced course served as part of a single meal. All the parts were coming together! So recapping, this week I am posting recipes and thoughts behind a large (for me) "formal" Italian dinner party for 8 people. 5 courses, 7 separate dishes (plus a drink) all cooked fresh, served in a timely manor and of course, tasty and delicious. I have already covered the Antipasto course (2 "party" Trays (Cured meats and Cheeses) and a plate of Bruschetta) ...Italian antipasto - Antipasto all'italiana. Then yesterday I posted the first of two Primo courses (the first course, appetizer, starter course), a wonderfully unique Fennel and Blood Orange Salad. All of that was especially easy as there was no cooking involved, The Antipasto was set up before the guests arrived. The salad was simply brought out of the marinade and put into a serving platter to pass. I did start to cook a bit when i made pasta, cooked it, made a sauce and mixed the pasta in the sauce (not as hard or time consuming as it sounds, as it took less than 10 minutes to make the Pepper Pasta With Brown Butter Sage Sauce! Remember, Mise en Place and prep work is your friend as you want everything to run like clock work. I planned to make 2 different Contorni (Side dishes or the vegetable course). Once again, as with the Primo (pasta and salad course) I chose the dishes for a variety of reasons, but center stage was the ease of cooking. I had made a , Potatoes in a Pouch (Patate al forno in un sacchetto). This simple potato dish has several advantages for a party platter. First, they are very tasty. Simply baked in a pouch with sage and olive oil. The extra kick is the raw bacon that cooks and seeps bacon fat into the potatoes as they cook. But the big advantage is that they are another no mess no fuss dish. All you have to do is open the foil, pour them in a serving platter and enjoy. The second Contorni side was a beautiful colorful Swiss Chard with Tomatoes , Pine Nuts and Olives (Bietole con Pomodori, Pinoli e Olive)! It does sound like a lot, and it was. but again, proper planning got everything organized, dishes served timely with a gap of only about 10 minutes between courses. And serving this was no exception. The Secondo (meat course) and the Contorni (vegetable side dish course) were served at the same time. But the meat was cooking throughout the early part of the dinner. This is a wonderful dish to prepare as it spends most of it's time in a milk bath (well, HOT hot tub really). The only "cooking" that needs to be done is to remove the meat when it reaches the proper internal temperature (please cook this with one of those new fangled CHEAP battery operated remote temperature probe that you insert and watch for th proper temperature... 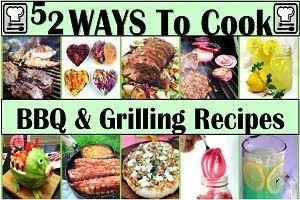 I never have dry overcooked meat cause I do not cook by time, just temperature... But I digress). Once out of the milk bath, the meat MUST rest for 10-15 minutes before you slice it. This keeps the juices inside the meat making it fork tender and juicy. As to this beautiful sauce, the milk forms almost a yogurt consistency while it cooks the loin. A quick whisk, a little flour and you have a mustard gravy that was the hit of the evening. In my cooking career I have spent more than my fair amount of time grilling meat. I love it and it tastes great. BUT it does require attention from the cook. Very little time for the whirling dervish that is serving up multiple dishes for a multiple course meal. Cooking the loin in milk for a long amount of time gave me a luxury of time to have everything hot and ready to serve all at the same time. Allow your pork to come to room temperature, remove from the refrigerator 1 hour before beginning to prepare. Generously rub the mustard on the outside of the pork. Once hat, add the butter and sear all sides of the loin. Some (most) of the mustard will char and not remain on the meat and that is fine. It is there to season the gravy as much as the meat. Sear each side for only 2 minutes each. Once the sides are browned, REDUCE THE HEAT TO JUST ABOVE LOW. You want to slow cook the pork in about 225 degree liquid. Add the milk to the pan. This will help lower the temperature of the pan. You want the milk to rise to just a bit above half way up the meat. Insert the temperature probe and cover the pan. You are going to cook to cook until the internal temperature reaches 120 degrees. Then turn the loin so the part that was out of the milk is now in the milk, reinsert the temperature probe and cook until internal temperature in the thickest part of the meat reaches 140 degrees. While the meat is resting, make the gravy. You only want to use about 1 cup of the liquid, but be sure to spoon the thick globules of yogurt that form on the top in that cup. Also all of the mustard and seeds from the whole grain that were chard during the first step should be fished out. There is GREAT flavor in the roasted mustard seeds. Add this cup to a small sauce pan and whisk until smooth. If you need to thicken, add a tsp of flour at a time and whisk for a full minute with each tsp. FANTASTIC... the gravy adds a huge flavor to the pork. But the pork on it's own tasted wonderful. Fork tender, juicy throughout and with that sweet hint from the milk bath (hot tub). I simply adore this platter of meat. And of course, as I said it is very nice to have a meat dish that impresses and still allows the cook time to be a part of the party and still assemble all of the side dishes. Worked like a charm! Oooh Aaah, Pretty colors! You bet pretty and that makes it a wonderful dish to serve for a dinner party... Still recapping, this week I am posting recipes and thoughts behind a large (for me) "formal" Italian dinner party for 8 people. 5 courses, 7 separate dishes (plus a drink) all cooked fresh, served in a timely manor and of course, tasty and delicious. I have already covered the Antipasto course (2 "party" Trays (Cured meats and Cheeses) and a plate of Bruschetta) ...Italian antipasto - Antipasto all'italiana. Then yesterday I posted the first of two Primo courses (the first course, appetizer, starter course), a wonderfully unique Fennel and Blood Orange Salad. All of that was especially easy as there was no cooking involved, The Antipasto was set up before the guests arrived. The salad was simply brought out of the marinade and put into a serving platter to pass. I did start to cook a bit when i made pasta, cooked it, made a sauce and mixed the pasta in the sauce (not as hard or time consuming as it sounds, as it took less than 10 minutes to make the Pepper Pasta With Brown Butter Sage Sauce! Remember, Mise en Place and prep work is your friend as you want everything to run like clock work. 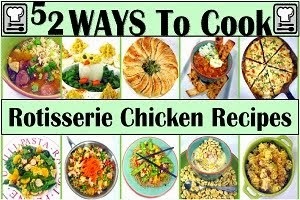 I planned to make 2 different Contorni (Side dishes or the vegetable course). Once again, as with the Primo (pasta and salad course) I chose the dishes for a variety of reasons, but center stage was the ease of cooking. I had made a , Potatoes in a Pouch (Patate al forno in un sacchetto). This simple potato dish has several advantages for a party platter. First, they are very tasty. Simply baked in a pouch with sage and olive oil. The extra kick is the raw bacon that cooks and seeps bacon fat into the potatoes as they cook. But the big advantage is that they are another no mess no fuss dish. All you have to do is open the foil, pour them in a serving platter and enjoy. This freed me up to actually cook the second Contorni course of quick sauteed tomatoes, Swiss chard and more. I was also serving a main course of a braised pork loin. Again, all this had already been set in motion. So I only needed to remove the pork loin, allow it to "rest" for 5-10 minutes before slicing, work the Swiss chard dish, make a gravy for the pork and plate this potato dish. Again, sounds like a lot, but it all only took another 10 minutes. remember, it's an Italian dinner... No rush, enjoy the meal and relax... Everyone will get fed, everyone will enjoy the evening. The key to cooking this dish fast is to have everything Mise en Place or already diced, torn, measured and ready to go. 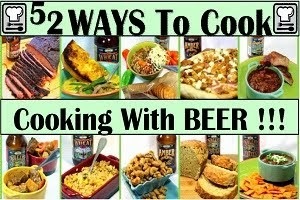 The dish only takes 10 minutes total cooking time if you are ready to go. If you mix continents, just think of this as a vegetarian stir fry. In a large saute skillet, heat the Olive Oil over medium high heat until just before it starts to smoke. Add the Onion and garlic. Saute until the onion softens, about 5 minutes. Add the olives, pine nuts and garlic and saute for another minute. Add the tomatoes and heat until the liquid simmers, a couple of more minutes. You betcha it was. and a PERFECT side dish. Totally unexpected from my guests, looked wonderful and a blend of flavors. An opportunity to discus Italian cuisine and what makes it special. Not a lot of seasonings and sauces that mask or alter flavors, but blending fresh ingredients, often ingredients that are easily available in any Italian grandmother's garden. And of course the ready on 10 minutes aspect worked great for the party.